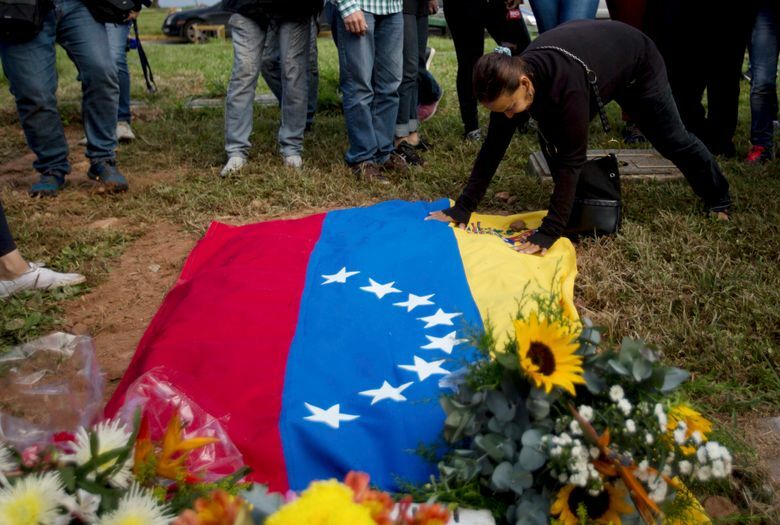 CARACAS, Venezuela (AP) — Hardly any family members of a rebel police officer killed in a shootout with Venezuelan security forces were allowed to attend his burial Saturday, relatives said. 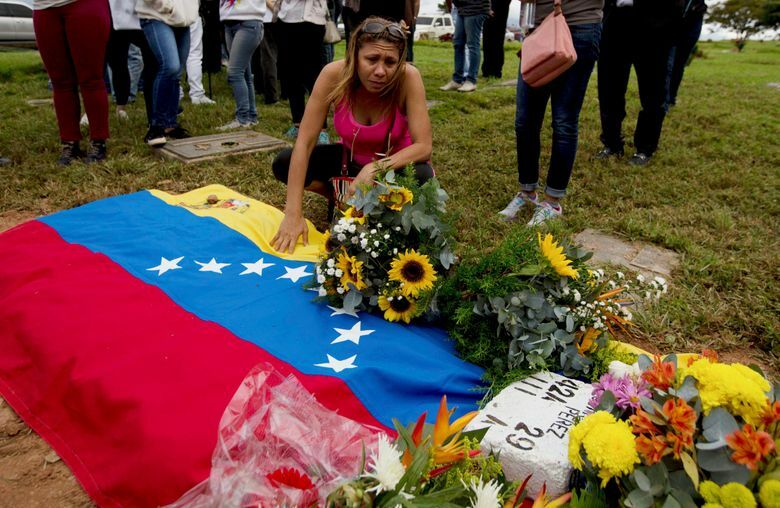 Just two of Oscar Perez’s relatives were allowed to see the early morning interment at a Caracas cemetery after authorities denied relatives’ demands that they hand over the body of Perez and six others killed. The cemetery was surrounded by National Guard officers. 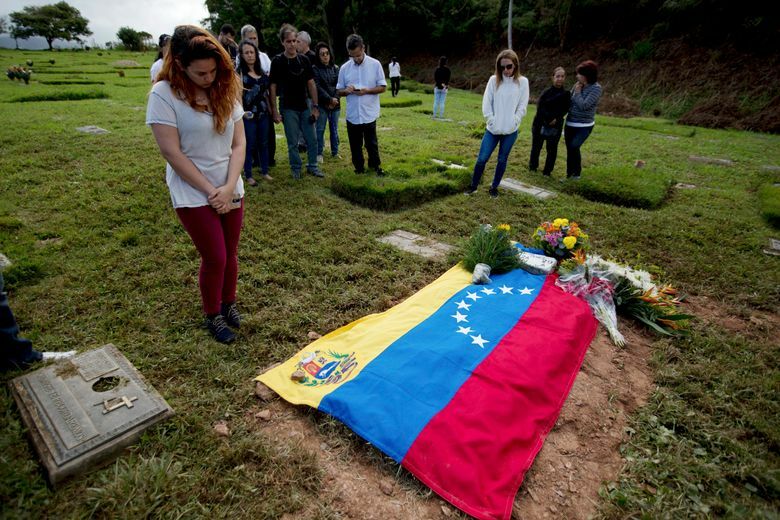 “They arbitrarily decided to carry out the controlled burial without granting permission to observe him, much less allow him to be moved with his family,” Perez’s widow, Danahis Vivas, said on Twitter. Vivas is out of the country with the couple’s children. 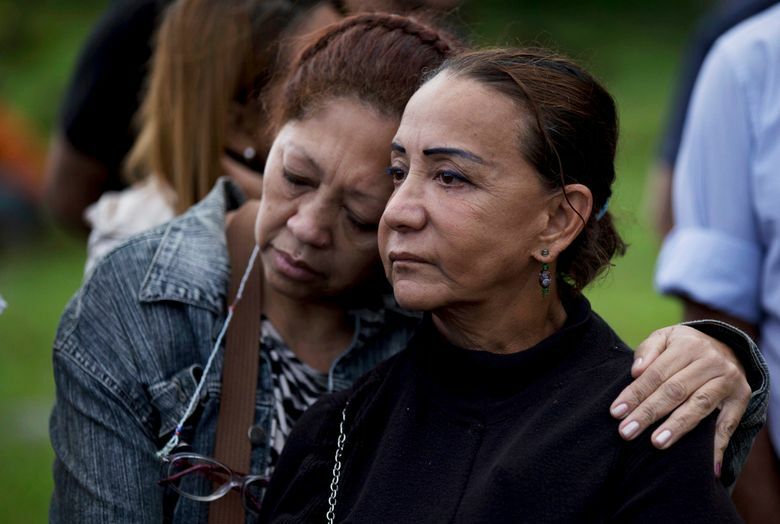 Perez’s aunt, Aura Perez, confirmed that the military allowed her and her daughter into the cemetery to see Perez before he was buried. 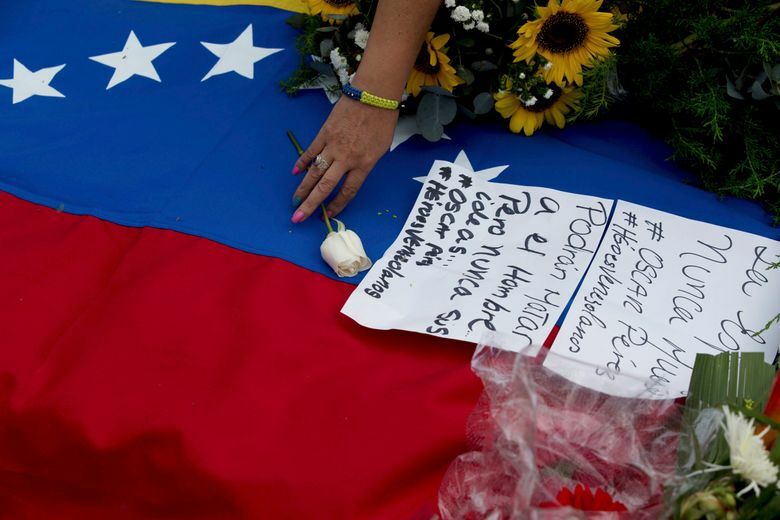 Perez and six in his rebel group died Monday fighting against police and soldiers in a small mountain community outside of Caracas, ending a manhunt for the former policeman that began after he led a helicopter attack on government buildings in June and called for an uprising against the government of President Nicolas Maduro. 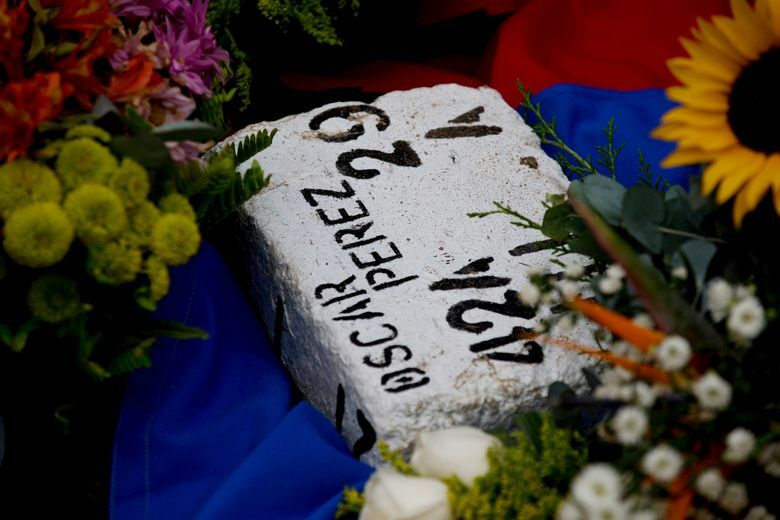 Officials have called Perez and his group a “terrorist cell,” and blamed them for instigating the violent shootout that killed two police officers. Authorities have not commented on the burial. 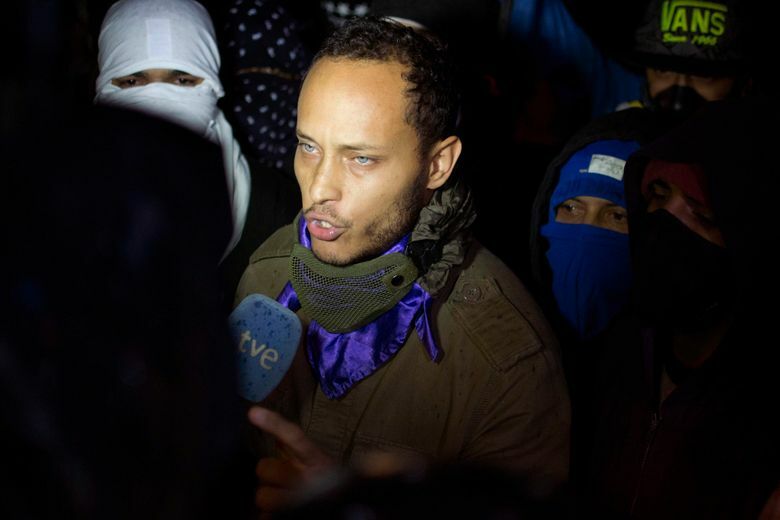 The government has been accused of unlawfully killing the group after video clips Perez posted during the shootout showed him calling out that the rebels wished to surrender. 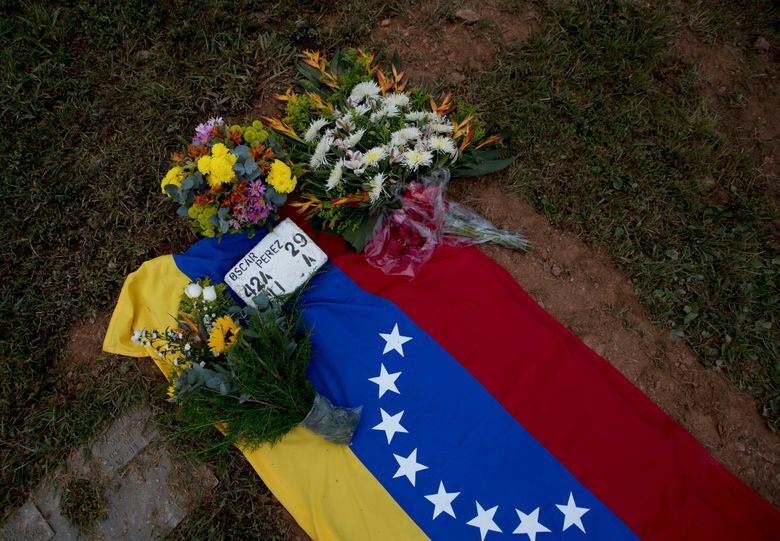 Perez was the last of the seven to be buried by the military over the weekend. The families received death certificates showing that he and five others had each died of a gunshot to the head.